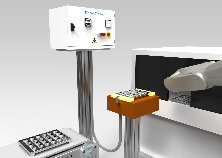 The Electronic impulse demagnetizers, installed in automated processes with part transfer with robots/mechanical arms, can be designed to be adapted for different configurations. 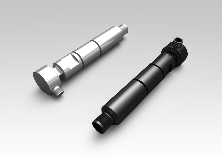 Possibility of demagnetizing the single part, or more parts at the same time. 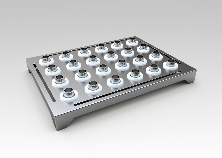 These models can also be designed to demagnetize the parts placed inside washing or transport baskets. Depending on the parts to be demagnetized, the cycle time and the type of robot clamps, it is possible to design made-to-measure solutions according to the customer’s requirements. 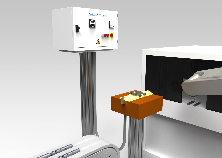 Easy operation thanks to the exchange of signals between the demagnetization electronic control units and the line. The communication signals between the electronic and the line can vary according to the specific application.